You know this thing about Masha and The Bear Games? Here we are again with a new category of games named „Masha and The Bear”, where you will meet all the characters from the Russian series with the same name and along with them you will go on crazy and funny adventures. In Masha and The Bear Games you can find 82 games that we've published for these kids and childrens that are interested to play Masha and The Bear Games, this game gategory have been created on 05.02.2016. These games with Masha and The Bear Games have been voted 1 times and the avarage of vote is 5.00 stars. We advice you to play the last flash game from Masha and The Bear Games, Masha and the Bear Christmas Jigsaw that have been published on 03.11.2017 20:00. Masha and the Bear Christmas Jigsaw its a part of Masha and The Bear Games category and until now its played 978 times. Try it now on Cute-Games.com! 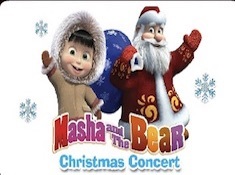 If your like the Masha and the Bear Christmas Jigsaw game you can write a comment in the game page. Recommend this game to your friends if you like it! Masha and the Bear Play Doctor its a part of Masha and The Bear Games category and until now its played 964 times. Try it now on Cute-Games.com! 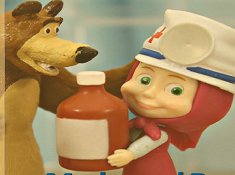 If your like the Masha and the Bear Play Doctor game you can write a comment in the game page. Recommend this game to your friends if you like it! Masha Kitten Summer Party Haircut its a part of Masha and The Bear Games category and until now its played 860 times. Try it now on Cute-Games.com! If your like the Masha Kitten Summer Party Haircut game you can write a comment in the game page. Recommend this game to your friends if you like it! 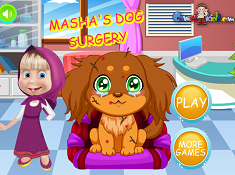 Masha Dog Surgery its a part of Masha and The Bear Games category and until now its played 1172 times. Try it now on Cute-Games.com! 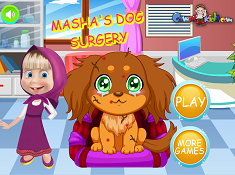 If your like the Masha Dog Surgery game you can write a comment in the game page. Recommend this game to your friends if you like it! Masha at the Beach its a part of Masha and The Bear Games category and until now its played 1180 times. Try it now on Cute-Games.com! If your like the Masha at the Beach game you can write a comment in the game page. Recommend this game to your friends if you like it! Masha and the Bear Zuma its a part of Masha and The Bear Games category and until now its played 1563 times. Try it now on Cute-Games.com! If your like the Masha and the Bear Zuma game you can write a comment in the game page. Recommend this game to your friends if you like it! Masha and the Bear Memory its a part of Masha and The Bear Games category and until now its played 1255 times. Try it now on Cute-Games.com! If your like the Masha and the Bear Memory game you can write a comment in the game page. Recommend this game to your friends if you like it! 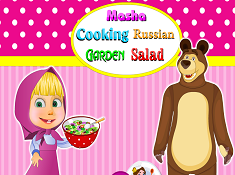 Masha Cooking Russian Garden Salad its a part of Masha and The Bear Games category and until now its played 1023 times. Try it now on Cute-Games.com! If your like the Masha Cooking Russian Garden Salad game you can write a comment in the game page. Recommend this game to your friends if you like it! 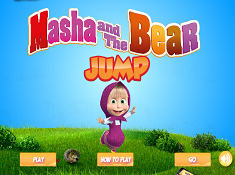 Masha and the Bear Mini Games its a part of Masha and The Bear Games category and until now its played 1267 times. Try it now on Cute-Games.com! If your like the Masha and the Bear Mini Games game you can write a comment in the game page. Recommend this game to your friends if you like it! Masha Babysitter Room Cleaning its a part of Masha and The Bear Games category and until now its played 918 times. Try it now on Cute-Games.com! If your like the Masha Babysitter Room Cleaning game you can write a comment in the game page. Recommend this game to your friends if you like it! Masha Basket its a part of Masha and The Bear Games category and until now its played 1021 times. Try it now on Cute-Games.com! 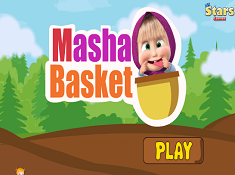 If your like the Masha Basket game you can write a comment in the game page. Recommend this game to your friends if you like it! Masha And Bear Going To School its a part of Masha and The Bear Games category and until now its played 950 times. Try it now on Cute-Games.com! If your like the Masha And Bear Going To School game you can write a comment in the game page. Recommend this game to your friends if you like it! DIY Masha Doll its a part of Masha and The Bear Games category and until now its played 1063 times. Try it now on Cute-Games.com! If your like the DIY Masha Doll game you can write a comment in the game page. Recommend this game to your friends if you like it! Masha and the Bear Jelly Match its a part of Masha and The Bear Games category and until now its played 1018 times. Try it now on Cute-Games.com! If your like the Masha and the Bear Jelly Match game you can write a comment in the game page. Recommend this game to your friends if you like it! Masha Halloween Preparation its a part of Masha and The Bear Games category and until now its played 1062 times. Try it now on Cute-Games.com! If your like the Masha Halloween Preparation game you can write a comment in the game page. Recommend this game to your friends if you like it! Masha And The Bear Coloring its a part of Masha and The Bear Games category and until now its played 9655 times. Try it now on Cute-Games.com! If your like the Masha And The Bear Coloring game you can write a comment in the game page. Recommend this game to your friends if you like it! 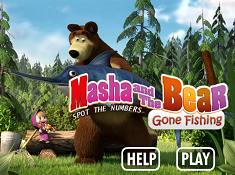 Masha and the Bear Gone Fishing its a part of Masha and The Bear Games category and until now its played 1249 times. Try it now on Cute-Games.com! If your like the Masha and the Bear Gone Fishing game you can write a comment in the game page. Recommend this game to your friends if you like it! Wonderful Toys Party its a part of Masha and The Bear Games category and until now its played 1254 times. Try it now on Cute-Games.com! If your like the Wonderful Toys Party game you can write a comment in the game page. Recommend this game to your friends if you like it! Masha vs Bear Secret Items its a part of Masha and The Bear Games category and until now its played 1172 times. Try it now on Cute-Games.com! Masha Bathroom Cleaning its a part of Masha and The Bear Games category and until now its played 1407 times. Try it now on Cute-Games.com! If your like the Masha Bathroom Cleaning game you can write a comment in the game page. Recommend this game to your friends if you like it! Masha And The Bear Jump its a part of Masha and The Bear Games category and until now its played 1233 times. Try it now on Cute-Games.com! If your like the Masha And The Bear Jump game you can write a comment in the game page. Recommend this game to your friends if you like it! 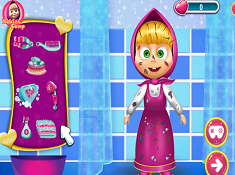 Masha Hair Salon its a part of Masha and The Bear Games category and until now its played 1174 times. Try it now on Cute-Games.com! If your like the Masha Hair Salon game you can write a comment in the game page. Recommend this game to your friends if you like it! Masha Dog Surgery its a part of Masha and The Bear Games category and until now its played 1159 times. Try it now on Cute-Games.com! 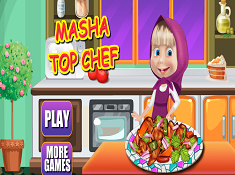 Masha Top Chef its a part of Masha and The Bear Games category and until now its played 1031 times. Try it now on Cute-Games.com! If your like the Masha Top Chef game you can write a comment in the game page. Recommend this game to your friends if you like it! Masha And Bear Doll House its a part of Masha and The Bear Games category and until now its played 1003 times. Try it now on Cute-Games.com! If your like the Masha And Bear Doll House game you can write a comment in the game page. Recommend this game to your friends if you like it! Masha Math Quiz its a part of Masha and The Bear Games category and until now its played 974 times. Try it now on Cute-Games.com! If your like the Masha Math Quiz game you can write a comment in the game page. Recommend this game to your friends if you like it! 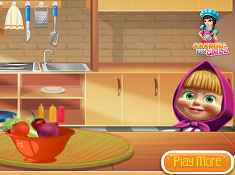 Masha Messy Kitchen its a part of Masha and The Bear Games category and until now its played 959 times. Try it now on Cute-Games.com! If your like the Masha Messy Kitchen game you can write a comment in the game page. Recommend this game to your friends if you like it! Masha Bubble Bath its a part of Masha and The Bear Games category and until now its played 990 times. Try it now on Cute-Games.com! If your like the Masha Bubble Bath game you can write a comment in the game page. Recommend this game to your friends if you like it! Masha At The Beach its a part of Masha and The Bear Games category and until now its played 948 times. Try it now on Cute-Games.com! Masha And Bear Summer Vacation its a part of Masha and The Bear Games category and until now its played 1309 times. Try it now on Cute-Games.com! If your like the Masha And Bear Summer Vacation game you can write a comment in the game page. Recommend this game to your friends if you like it! 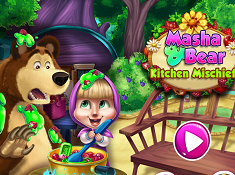 Masha and Bear Kitchen Mischief its a part of Masha and The Bear Games category and until now its played 1201 times. Try it now on Cute-Games.com! If your like the Masha and Bear Kitchen Mischief game you can write a comment in the game page. Recommend this game to your friends if you like it! 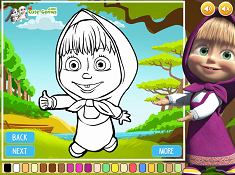 Masha Online Coloring its a part of Masha and The Bear Games category and until now its played 1551 times. Try it now on Cute-Games.com! 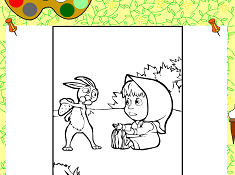 If your like the Masha Online Coloring game you can write a comment in the game page. Recommend this game to your friends if you like it! Masha Nose Congestion its a part of Masha and The Bear Games category and until now its played 1155 times. Try it now on Cute-Games.com! If your like the Masha Nose Congestion game you can write a comment in the game page. Recommend this game to your friends if you like it! Masha Burger its a part of Masha and The Bear Games category and until now its played 1228 times. Try it now on Cute-Games.com! 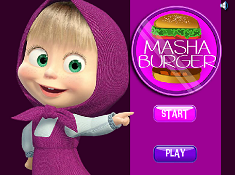 If your like the Masha Burger game you can write a comment in the game page. Recommend this game to your friends if you like it! Masha and The Bear Summer Fun its a part of Masha and The Bear Games category and until now its played 1089 times. Try it now on Cute-Games.com! If your like the Masha and The Bear Summer Fun game you can write a comment in the game page. Recommend this game to your friends if you like it! Masha Playing Dress Up its a part of Masha and The Bear Games category and until now its played 3005 times. Try it now on Cute-Games.com! If your like the Masha Playing Dress Up game you can write a comment in the game page. Recommend this game to your friends if you like it! 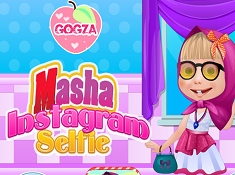 Masha Instagram Selfie its a part of Masha and The Bear Games category and until now its played 1439 times. Try it now on Cute-Games.com! If your like the Masha Instagram Selfie game you can write a comment in the game page. Recommend this game to your friends if you like it! Messy Masha its a part of Masha and The Bear Games category and until now its played 2241 times. Try it now on Cute-Games.com! If your like the Messy Masha game you can write a comment in the game page. Recommend this game to your friends if you like it! 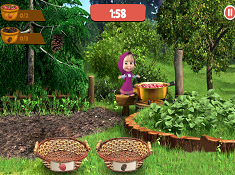 Masha Garden Cleaning its a part of Masha and The Bear Games category and until now its played 1541 times. Try it now on Cute-Games.com! If your like the Masha Garden Cleaning game you can write a comment in the game page. Recommend this game to your friends if you like it! Masha School Adventure its a part of Masha and The Bear Games category and until now its played 1559 times. Try it now on Cute-Games.com! If your like the Masha School Adventure game you can write a comment in the game page. Recommend this game to your friends if you like it! Masha And The Bear Cake its a part of Masha and The Bear Games category and until now its played 1926 times. Try it now on Cute-Games.com! If your like the Masha And The Bear Cake game you can write a comment in the game page. Recommend this game to your friends if you like it! Masha Spring Allergy its a part of Masha and The Bear Games category and until now its played 1420 times. Try it now on Cute-Games.com! If your like the Masha Spring Allergy game you can write a comment in the game page. Recommend this game to your friends if you like it! 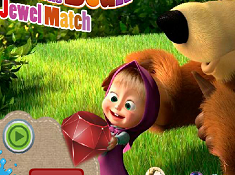 Masha And The Bear Jewel Match its a part of Masha and The Bear Games category and until now its played 1394 times. Try it now on Cute-Games.com! If your like the Masha And The Bear Jewel Match game you can write a comment in the game page. Recommend this game to your friends if you like it! 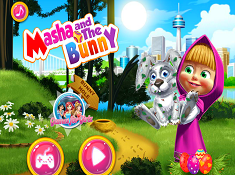 Masha and The Easter Bunny its a part of Masha and The Bear Games category and until now its played 1692 times. Try it now on Cute-Games.com! If your like the Masha and The Easter Bunny game you can write a comment in the game page. Recommend this game to your friends if you like it! 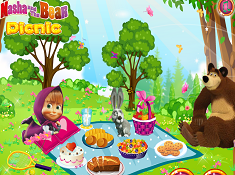 Masha and the Bear Picnic Fun its a part of Masha and The Bear Games category and until now its played 1299 times. Try it now on Cute-Games.com! If your like the Masha and the Bear Picnic Fun game you can write a comment in the game page. Recommend this game to your friends if you like it! Masha and the Bear Cooking Big Burger its a part of Masha and The Bear Games category and until now its played 1058 times. Try it now on Cute-Games.com! If your like the Masha and the Bear Cooking Big Burger game you can write a comment in the game page. Recommend this game to your friends if you like it! Masha Easter Egg its a part of Masha and The Bear Games category and until now its played 1146 times. Try it now on Cute-Games.com! If your like the Masha Easter Egg game you can write a comment in the game page. Recommend this game to your friends if you like it! Masha Room Cleaning its a part of Masha and The Bear Games category and until now its played 1129 times. Try it now on Cute-Games.com! If your like the Masha Room Cleaning game you can write a comment in the game page. Recommend this game to your friends if you like it! Masha and the Bear Accident its a part of Masha and The Bear Games category and until now its played 1091 times. Try it now on Cute-Games.com! If your like the Masha and the Bear Accident game you can write a comment in the game page. Recommend this game to your friends if you like it! 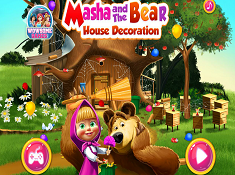 Masha and The Bear House Decoration its a part of Masha and The Bear Games category and until now its played 924 times. Try it now on Cute-Games.com! If your like the Masha and The Bear House Decoration game you can write a comment in the game page. Recommend this game to your friends if you like it! 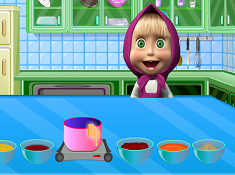 Masha Cooking School its a part of Masha and The Bear Games category and until now its played 1155 times. Try it now on Cute-Games.com! If your like the Masha Cooking School game you can write a comment in the game page. Recommend this game to your friends if you like it! 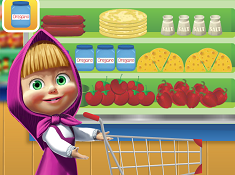 Masha And The Bear Cooking Tortilla Pizza its a part of Masha and The Bear Games category and until now its played 1364 times. Try it now on Cute-Games.com! If your like the Masha And The Bear Cooking Tortilla Pizza game you can write a comment in the game page. Recommend this game to your friends if you like it! 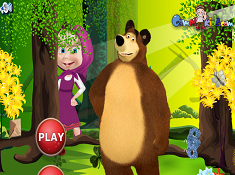 Masha And The Bear Dress Up its a part of Masha and The Bear Games category and until now its played 860 times. Try it now on Cute-Games.com! 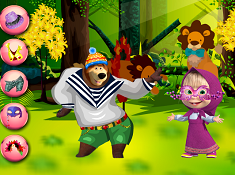 If your like the Masha And The Bear Dress Up game you can write a comment in the game page. Recommend this game to your friends if you like it! Masha And The Bunny its a part of Masha and The Bear Games category and until now its played 1048 times. Try it now on Cute-Games.com! If your like the Masha And The Bunny game you can write a comment in the game page. Recommend this game to your friends if you like it! Masha and The Bear Farm its a part of Masha and The Bear Games category and until now its played 890 times. Try it now on Cute-Games.com! If your like the Masha and The Bear Farm game you can write a comment in the game page. Recommend this game to your friends if you like it! 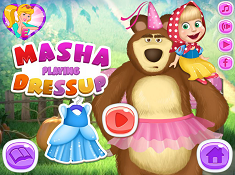 Masha Dress Up The Bear its a part of Masha and The Bear Games category and until now its played 937 times. Try it now on Cute-Games.com! If your like the Masha Dress Up The Bear game you can write a comment in the game page. Recommend this game to your friends if you like it! Masha Foot Doctor its a part of Masha and The Bear Games category and until now its played 1416 times. Try it now on Cute-Games.com! If your like the Masha Foot Doctor game you can write a comment in the game page. Recommend this game to your friends if you like it! Masha Easter Egg 2 its a part of Masha and The Bear Games category and until now its played 1202 times. Try it now on Cute-Games.com! If your like the Masha Easter Egg 2 game you can write a comment in the game page. Recommend this game to your friends if you like it! Find More About Masha and The Bear Games! The series focuses on the adventures of Masha, a little girl and her best friend which is a bear circus performer but also, focuses on all the characters because all of them are part of the adventures. Masha, the protagonist of the series, is a little girl who lives in an old Trans-Siberian railway station, she is very funny, cute and lovely and you can recognize her by her big green eyes and her fair hair. The Bear, is the other protagonist, who is a big bear very friendly and protective with Masha, he is a former star circus with many hobbies in art, fishing and music, fact that helps him to be more interesting for Masha and the two are always having fun together. Another characters are Masha`s pets which are a dog, a goat and a pig and they are living in the front yard at Masha`s home but more then her pets they are her friends because they are forced to play with her different games and to make different activities. The wild animals are other characters that appeared in the series and they are a rabbit, a squirrels, a hedgehogs and two wolves. Masha is often playing many games with them and together they have a lot of funny adventures which you can see in many episodes of the serial and also, there you will see that all the animals are friends. Other characters from the series are The Female Bear and The Black Bear which are two important characters because The Female Bear is an attractive female bear for who The Bear and The Black Bear are in competition to gain her attention. Because of that, The Black Bear is the worst enemy and rival of The Bear and he is always making bad things against to Masha and The Bear, things that can make troubles for the little girl. Dasha is another character from the series who is Masha`s cousin from Moscow, she is looking like Masha but they are very different because Dasha is afraid of the bear and she is calling him „Shaggy”. Bear also has a cousin named Panda, who is a panda bear from China and he is Misha`s rival because is jealous of the love that Bear has for Masha but even if, sometimes Panda and the girl have some fun together. Another character is Tiger, friend with Bear from the circus where they performed together and now they are helping each other like true friends. Penguin is another cute character that appeared when Masha found an egg which gives to the Bear and when the egg broke, a penguin appeared and was thinking that Bear is the mother. Bear, starting to love the penguin but he decided to send him to Antarctica with other penguins but Penguin is still visiting Bear so, you can see him often in the serial. At the end here you will see a special character which appear only in holiday-themed show because he is like Santa Claus but her name is Father Frost, the Santa of Russia. As you see, here are many interesting characters and most of them are animals so, the series has to be very fun and interactive reason for why we hope that you will enjoy a lot our new Masha and The Bear games. In our games you will find all of the characters and you will can to play and go on adventures with all of them having a very good time. These games are for everybody, doesn`t matter if you are a boy, a girl are a kid because we tried to bring many different games with different challenges and adventures from where everyone can choose what likes more. The series has many episodes so we also tried to bring many Masha and The Bear games where you can cook, you can play different sports, you can make up or dress up the characters, you can play many intelligence and adventure games and you can make many other challenges. Cute-games.com hopes that you will enjoy a lot our new surprises, reason for why we invite you to stay tuned on our site and you will be able to see what other things we prepared for you. Until then, if you want other Masha and The Bear games that we haven`t published, you can tell us what game do you want and we will publish it for you.